Savrasov was a recognized Russian landscape painter. All his works breathe real, clean, fresh air. It is this feeling of lightness and transparency that occurs when you look at his picture “Summer”. It is believed that the most favorite time for any creator is the autumn, when the leaves turn yellow, the sun is no longer so warm. 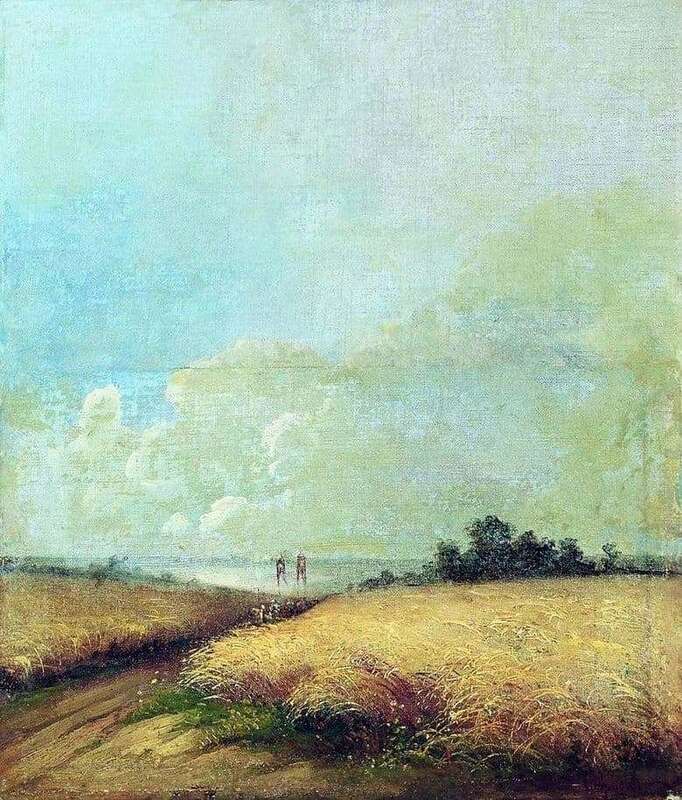 But Savrasov chooses exactly summer and invests his entire young soul in writing the landscape. Nature is very airy. Most of the work takes the image of the summer sky. Here you can not see the heat and the scorching sun. The colors are chosen very soft, muted, pastel. The sun is not visible on the tender blue sky, it has already risen, but does not fall into the artist’s field of view – only curly, snow-white clouds are visible to him. There is not a single birdie that violates this heavenly purity. The horizon line is very low. There, in the distance is a small pond. It is as if the soul of the sky is reflected in it, so light and light, which is why the pond literally dissolves in the morning haze. The distant coast is almost invisible, there is only a hint of its existence. Immediately after the pond begins a small forest belt. Green trees rise above the pond, covering part of the reservoir from us. Immediately after the luxurious greenery begins a wide field on which the golden wheat is eared. The image of wheat ears is always like a declaration of love for the motherland. The artist draws every blade of grass, every ear that feeds people in the future. This golden field is a hymn in honor of the soil fertility of the native lands. A small path passes through the field. It is unlikely to be able to pass a horse with a cart along it – it is too narrow. But local guys and girls can walk along it to the pond to refresh themselves on a hot, summer day. But there is not a single person in the picture – all attention is devoted to nature.